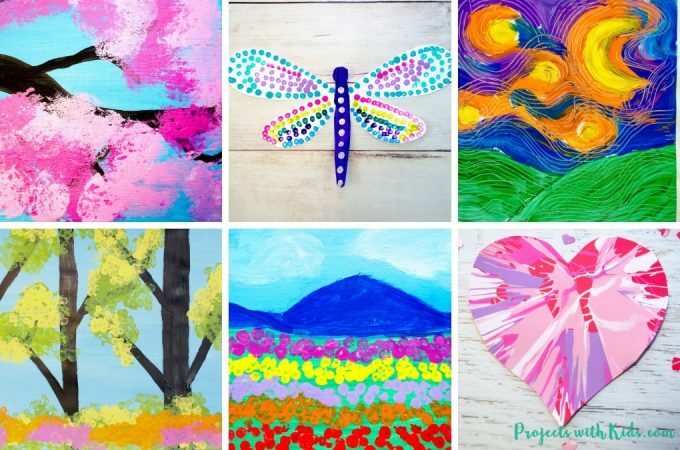 Spin painting is so fun and easy for kids of all ages! 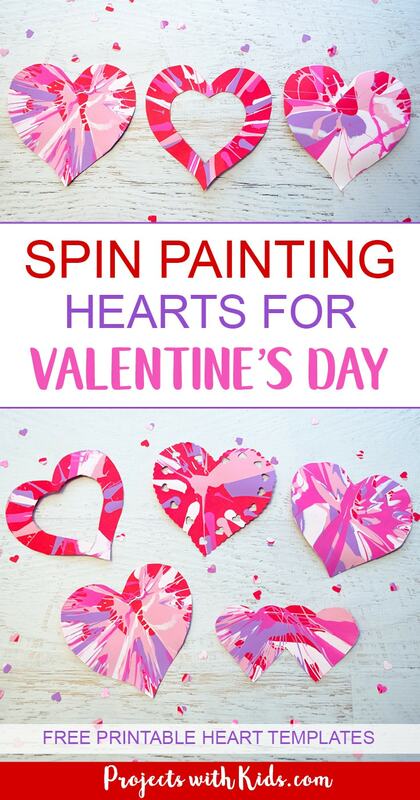 Our spin art hearts make the perfect Valentine’s Day art project and can be used in so many ways. Both my 4-year-old and 7-year-old (and their friends!) had a blast making these. It was fun to spin our hearts around and then open the lid to see what pattern we had made. We tried big hearts, double hearts, cutting out a heart shape in the middle and punching out smaller hearts to make confetti. 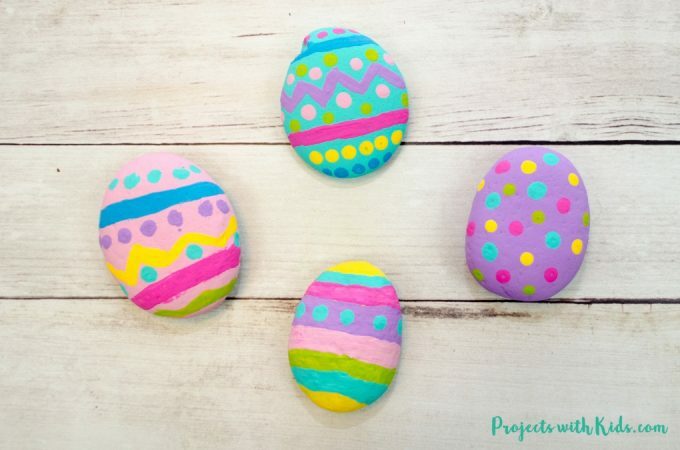 It is a great process art project that is fun for everyone! 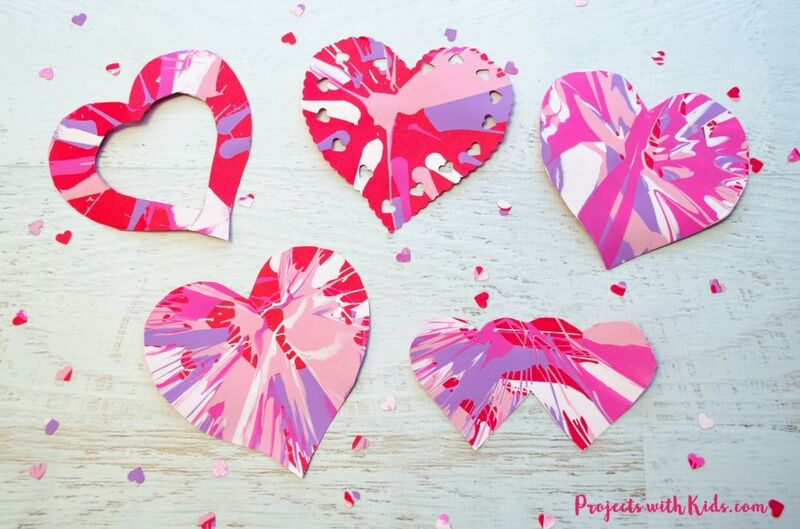 I made heart printables for you to use as an option to make this project even easier. The heart templates can be found in my free printable resource library that is available to my email subscribers. 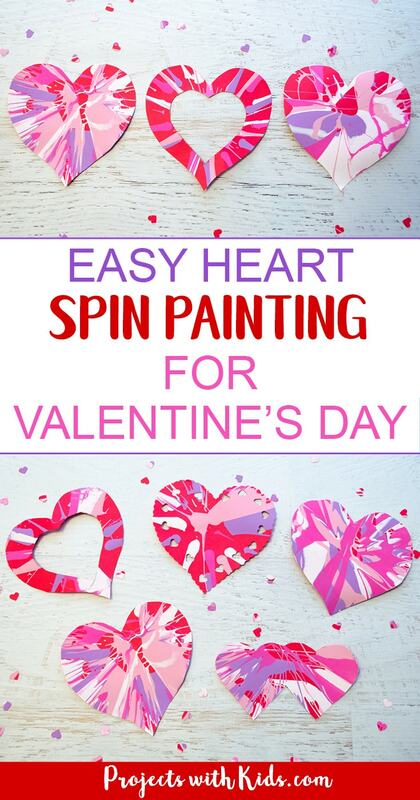 Sign up below to gain access to my resource library and get started making your spin art hearts. 1. 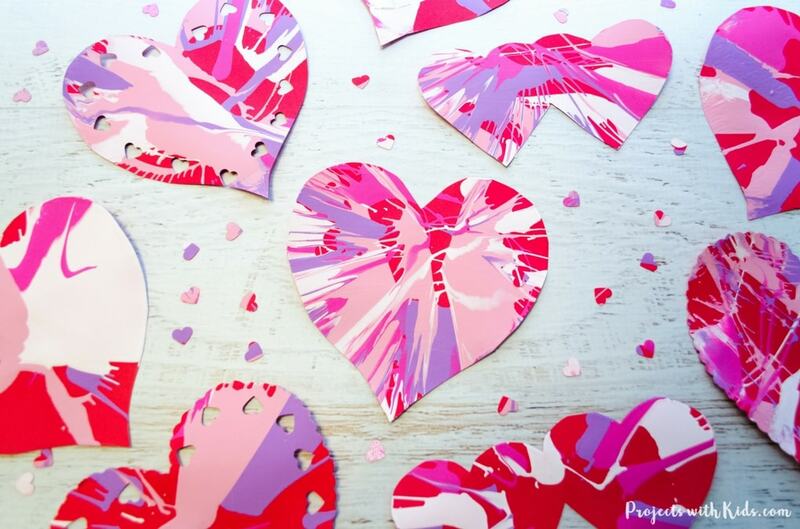 Gather all of your supplies and cut out your heart templates or make your own. You want your hearts to fill as much space in your salad spinner as possible, this will help to keep the hearts from clinging to the side when you are spinning them. 2. Place one heart shape at a time in your salad spinner and squeeze on your paint. 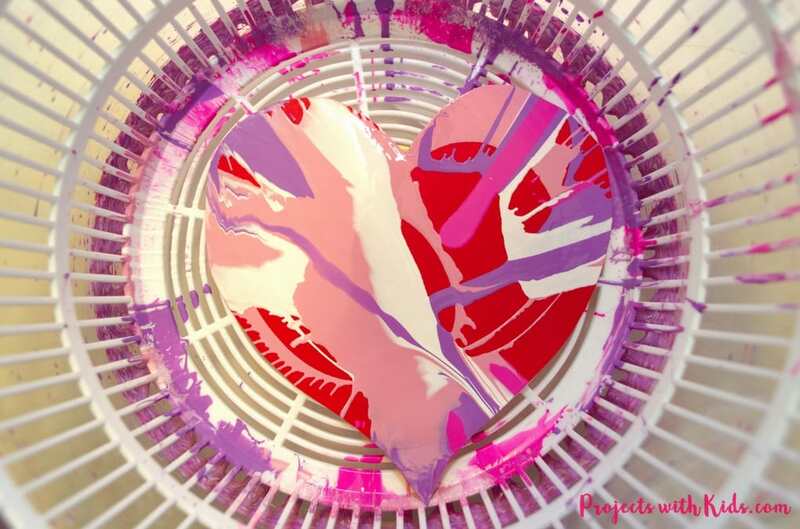 We experimented with different ways to do this and found that drizzling the paint on instead of squeezing drops of paint onto the heart, produced more interesting patterns. Remind kids not to squeeze too hard, a little paint goes a long way! 3. 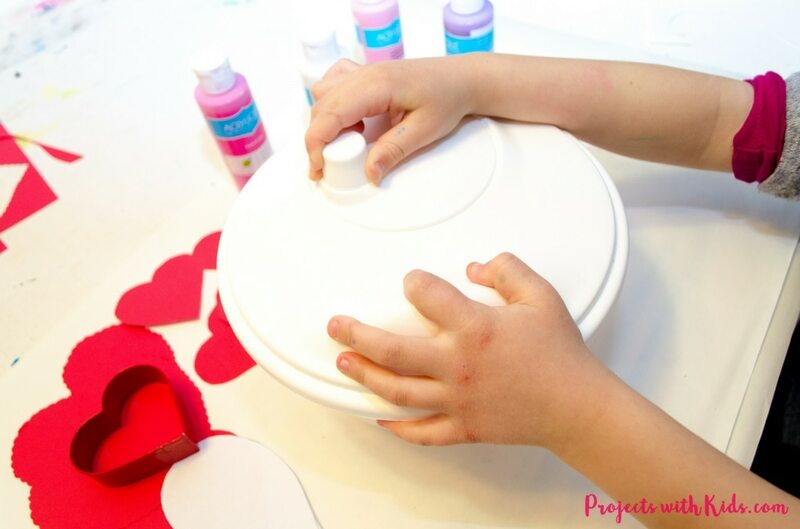 Put the lid on the salad spinner and let kids have fun spinning their creations! Younger kids might need you to hold onto the bottom of the salad spinner while they spin to keep everything steady. Once they are done spinning, open the lid to reveal their painting. This is the exciting part! It’s always fun to see the pattern that the paint made. Carefully remove the painting and let it dry. 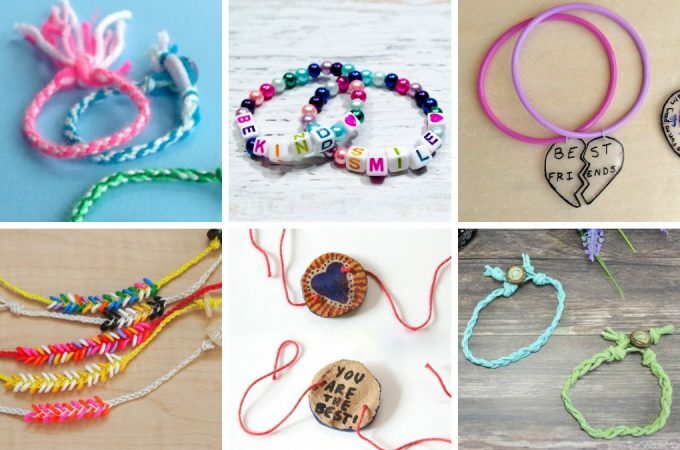 Have fun making more! We did this project over a couple of days and made a lot of different hearts. 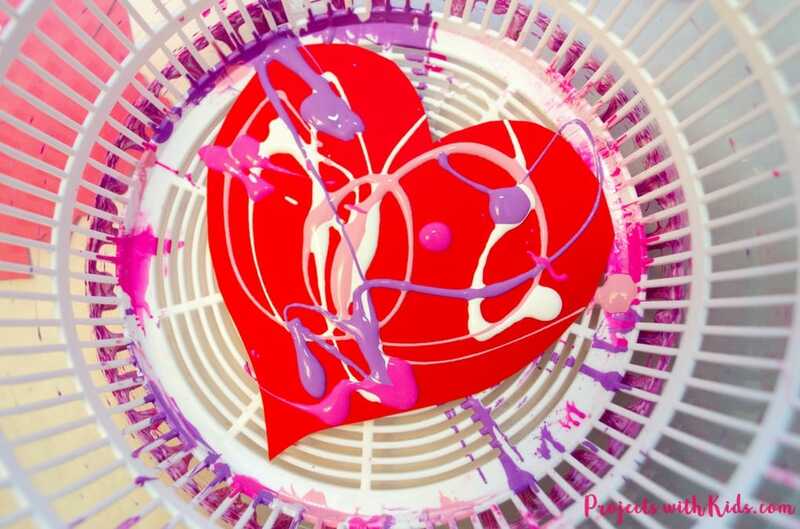 My daughter had some friends over and they had fun making their own spin painting hearts as well. My son made his hearts to give to his preschool friends at their Valentine’s Day party. 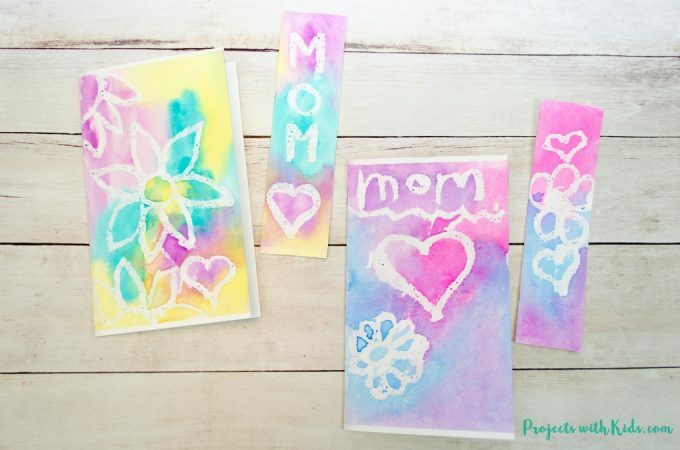 This is such a fun process art project for kids of all ages, I hope you have fun trying it out! If you are looking for more Valentine’s Day projects take a look at these conversation hearts cards and pins that use potato stamps and these popsicle stick love bugs that are just adorable! 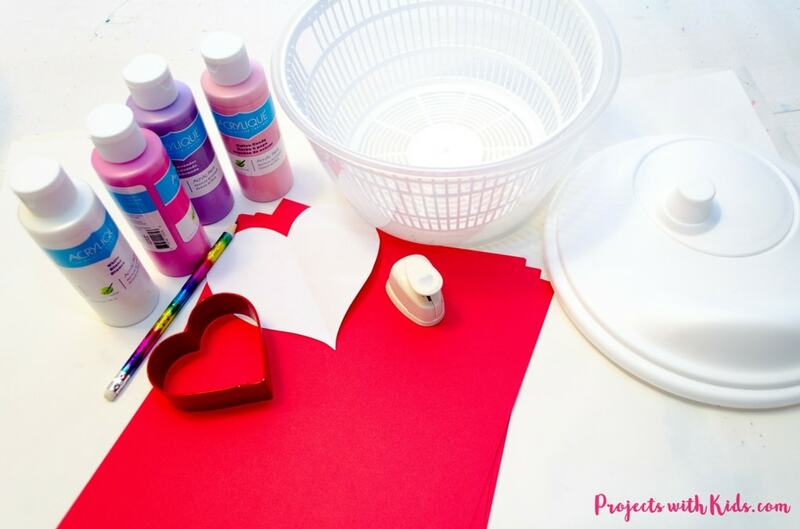 Follow my Valentine’s Day Arts & Crafts for Kids Pinterest board for more great ideas! You can click here to sign up for my email newsletter and gain access to my resource library. After signing up and confirming your email, you will get a welcome email with all the details.